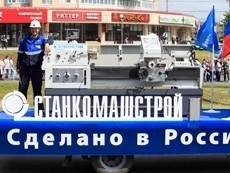 StankoMashStroy is a modern high-tech enterprise producing metal-working equipment. The company manufactures equipment of different categories, from simple mechanical machines (analogues of 16K20 machines) to VTM high-precision machining centers. StankoMashStroy’s quality management system is certified according to the international standard ISO 9001. Production of equipment is carried out using advanced technologies. For instance, Renishaw measuring systems are used in production for monitoring, verification and improvement of accuracy characteristics of the metalworking equipment. All this allows us to produce machine tools corresponding to modern standards. Another focus of the company "StankoMashStroy" is supply of metalworking equipment manufactured abroad. 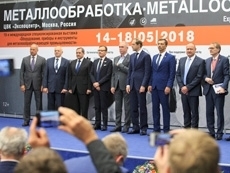 For more than 10 years, we have been supplying the metalworking equipment of leading world manufacturers - SMEC, KDM, Accuway, Insung, Boshi and others - to Russia and the CIS countries. A wide range of equipment is presented in the stock of the company: lathes, milling machines, drilling machines, horizontal boring machines, grinding machines, turning and milling machining centers. This allows us to supply machines as soon as possible. StankoMashStroy Сompany is one of the members of Russian public organization "Russian Engineering Union", and takes an active part in its work. General Director of "StankoMashStroy" Kochetkov Oleg is the deputy Chairman of the Penza regional branch of "Russian Engineering Union".